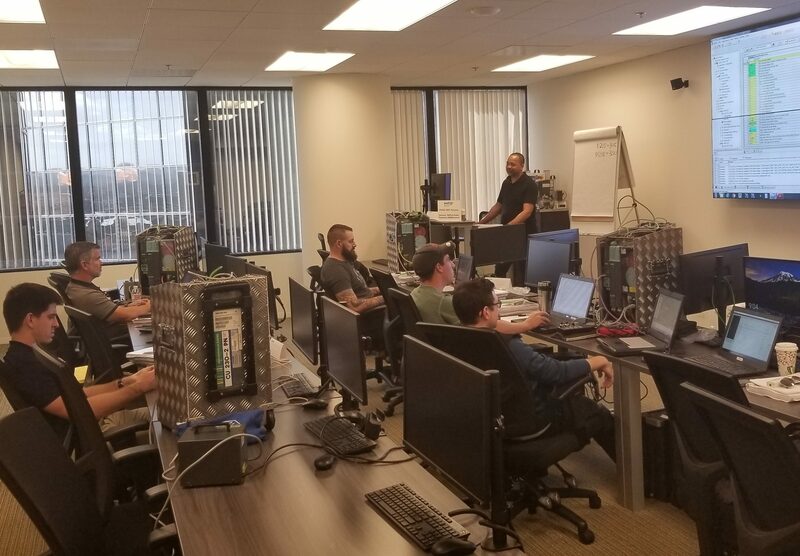 The Siemens S120 Servo Motion Control Training is in full swing at our Irvine Training Facility! This week-long training focuses on providing knowledge and skills related to the SINAMICS S drive, as it pertains to commissioning, operation, configuration, maintenance, diagnostics, and troubleshooting. The course is formatted with a combination of instruction and carefully structured, hands-on exercises aimed at developing job-related knowledge and skills. It is recommended for engineering and maintenance personnel responsible for installing, maintaining and troubleshooting drive systems that use the SINAMICS S (S110, S120, S150) drive systems. To see when the next training is held and for more information about our future Siemens training classes, view our training calendar.